This little-known National Park is such a treasure. Just a short drive, this botanical gardens in Wheaton, MD, is fun to explore. The home of George Washington has amazing gardens and a great kids’ program. Kids will see everything from hot air balloons to a real Space Shuttle. Walk the stone streets and find archaeology, art and history along with boats and planes. Explore the indoor and outdoor areas of this fabulous free museum. So much to see! We’ve never managed to do it all in one day. Avoid the crowds with my top tips for when to visit (hint–it’s really early!). Science and engineering meet history at Thomas Jefferson’s home in Charlottesville, VA. Enjoy spelunking and more down south in Luray, VA. This theme park in Williamsburg, VA, is perfect for thrill-seekers and animal lovers alike. Up in Baltimore, MD, this museum offers free admission days and is perfect for all ages. 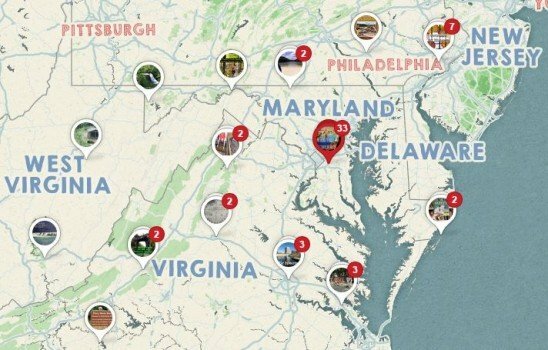 What are your favorite day trips in the DC area? Looking for even more family travel in Delaware, Pennsylvania and New Jersey? 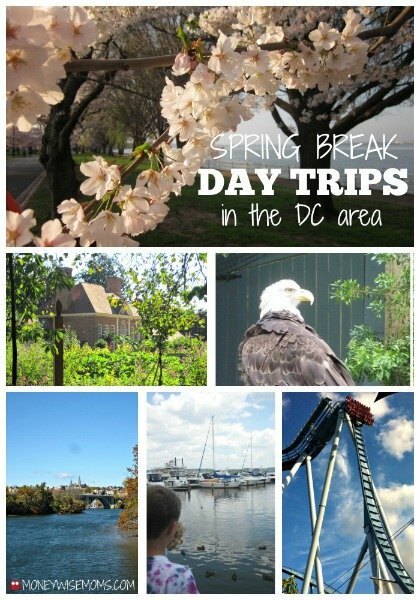 See my Mid-Atlantic Family Trips board on Pinterest. Great list! I’d add Great Falls and Riverbend Parks. Both have nice Visitor Centers, a little history, and a lot of nature to explore.